« Happy Birthday, James Dean! Born in Forest Hills, Queens, James Slattery was soon taking the LIRR into Manhattan. 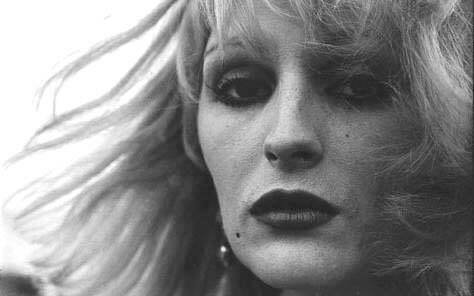 He reinvented himself as Candy Darling, a persona inspired by years of watching junky Hollywood movies on TV. Darling became a key figure in Warhol’s Factory and inspired Lou Reed’s song “Walk on the Wild Side” before dying of leukemia in 1974. James Rasin’s documentary looks at the star of a bygone era. Fun fact lazily obtained from Wikipedia: Darling’s funeral was attended by stars like Julie Newmar and Gloria Swanson even saluted the coffin. During the early ‘80s, a group of artists gathered in the abandoned buildings of New York’s Lower East Side. Céline Danhier tells the story of how a genre of transgressive experimental film grew up there, establishing the punk aesthetic and launching the careers of directors like Amos Poe, Richard Kern and Jim Jarmusch. See how neglected classics like Underground U.S.A. and Downtown 81 were independent before it was fashionable. Fun fact lazily obtained from Wikipedia: Lydia Lunch once shared an apartment with Lenny Bruce’s daughter. The village of Budrus made international headlines when a wall was erected right through its middle, designed to separate the Palestinian Territories from Israel. Filmmaker Julia Bacha focuses on Palestinian activist Ayed Morrar’s role in the outcry. Morrar bargains with both Hamas and Fatah and organizes Israeli citizens into peaceful protest. But can he face down the might of the Israeli army? From the makers of the acclaimed Control Room. Documentaries about the mysterious South American nation of Paraguay are pretty thin on the ground. Documentaries about being gay under Alfredo Stroessner’s 30-year dictatorship are even rarer. Renate Costa tells the story of his Uncle Rodolfo, who was mysteriously killed when he was a child. Rodolfo’s life turns out to be one in which nearly everything—including his aspirations to be a dancer—was sublimated by the fascist boot heel. Fun fact lazily obtained from Wikipedia: Stroessner’s father was a brewer. Daniel Schmid was a bit player in the New German Cinema explosion, acting in films by Rainer Werner Fassbinder, Wim Wenders and Werner Schroeter. As a director, Schmid achieved one of Swiss cinema’s greatest successes with Beresina Oder Die Letzten Tage der Schweiz, which screened at Cannes. Pascal Hoffman and Benny Jaberg’s fond portrait features contributions from Schroeter and Bulle Ogier. Fun fact lazily taken from Wikipedia: Schmid’s last film was a 2002 adaptation of Bellini’s opera Beatrice di Tenda for TV. For years, David Sieveking has worshipped his namesake David Lynch. Desperate for inspiration, he decides to try out transcendental meditation, which Lynch has promoted to the extent of starting his own foundation to advocate the practice. From the Devil’s Mountain to the Himalayas, Sieveking searches both for enlightenment and the answer to the question: are transcendence and a billion-dollar religion exclusive? Fun fact lazily taken from Wikipedia: As well as David Lynch, TM guru Maharishi Mahesh Yogi numbered among his followers the Beatles, Mia Farrow, the Beach Boys and Joe Namath. Fun fact lazily taken from Wikipedia: Wikipedia doesn’t know who Gerardo Milsztein is. State prosecutor Fritz Bauer has near-legendary status in Germany. In the 1950s, he established the legal legitimacy of the 1944 coup that became the Tom Cruise film Valkyrie. He helped Mossad capture Adolf Eichmann. When the uprisings of May 1968 occurred, he condemned the authoritarian reaction before dying in mysterious circumstances. Illona Ziok tells the fascinating story of this crusading DA. Fun fact lazily taken from Wikipedia: Bauer was the youngest person to achieve a Jur.Dr. ever in Germany. This entry was posted on February 8, 2010 at 2:19 pm and is filed under Festivals, Germany, Israel, Paraguay, Switzerland. You can follow any responses to this entry through the RSS 2.0 feed. You can leave a response, or trackback from your own site.